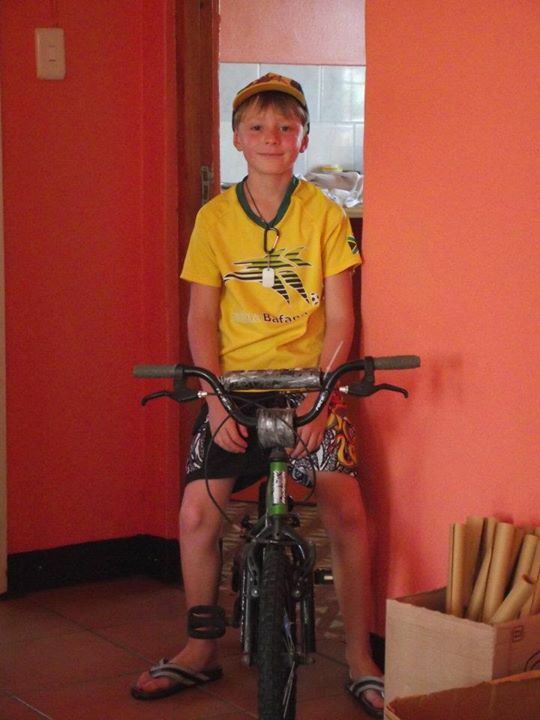 Thank you to everybody involved in fundraising events for the JBay Recycling Project. The whole project would fall apart if it was not for the generous donations of the community and the hard work of the volunteers. First we had David Cicotello from the USA who through a gofundme campaign raised $750 specifically to buy bicycles for the project. We have sold about 70 bicycles over the past three years. These are high end items, the children work very hard for them and save up their mulas to be able to afford a bicycle. With this money we will be able to buy 11 new bicycles. Next was another highly successful Adult clothing and small household sale on the 4th of July. This sale made a whopping R3530.00!! Monica with some of the dresses. for the swop shop. All clothes and household items are kind donations from the community. 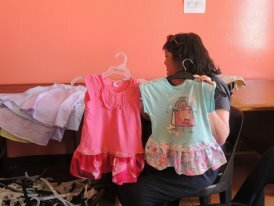 If you have any items you would like to donate for the next sale, please contact Bernie on 0832005618. Two comedians Nic Rabinowitz and Rob van Vuuren donated their time and each did a free show with all proceeds going towards the Recycling Project. Both did shows at the Grahamstown Festival and we really appreciate their generosity. Nic Rabinowith’s show was at St Francis Links and was sold out. Rob van Vuuren did a show at Je’Vista Social Cafe and raised a wonderful R7920.00. Thank you Rob and Nic and everybody involved in organising these two sucessful shows. July 15, 2014 in recycling.